States such as Maine, Michigan, New Mexico and Arizona have statutes that list the exact information required by that state for inclusion in a valid Demand for Notice. Generally, enough information must be present for the court to identify you, identify your relationship with the deceased and identify the estate property to which you feel you are entitled. Many courts have forms that are pre-assembled for purchase if you wish to proceed without an attorney. More courts are also posting these forms online for free download. Otherwise, use an online legal document provider to create the Demand for Notice. Just make sure all the information required by the state where the probate is filed is included in the Demand. Generally, the court must already have the probate open and the proceeding started before you can file the Demand Notice. In Michigan, however, you can file the Demand with the probate court after the decedent dies but before the will is submitted to the court, but you will have to pay the fees associated with opening probate. It is best to wait until the will has been filed with the court and probate has begun before filing the Demand. Use the case number assigned by the probate clerk on the Demand to tell the clerk in which proceeding to file the Demand. Don't rely on the court to provide copies of your Demand to the personal representative. Ask the probate clerk for a file-stamped copy of the Demand after you file it, and send it yourself to the estate's personal representative. This ensures that he or she receives prompt notice of your interest in the estate. After you file the Demand with the probate court, the court issues an order requiring that your name be included on the mailing list for all notices associated with the probate proceeding. That means you will receive notice of all hearings and meetings with the personal representative concerning the estate, just as with any other heir of record. Once you start receiving notice of scheduled hearings and meetings concerning the estate, attendance is up to you. However, attending all proceedings gives you a better understanding of how the probate is progressing, and lets the other heirs know that you are serious about your inheritance rights. It also gives you a chance to defend yourself right, than if any of the other heirs raise concerns about your right to inherit. What Is a Waiver of Citation Probate? The person who files a lawsuit must notify other parties to the action so they can protect their rights. 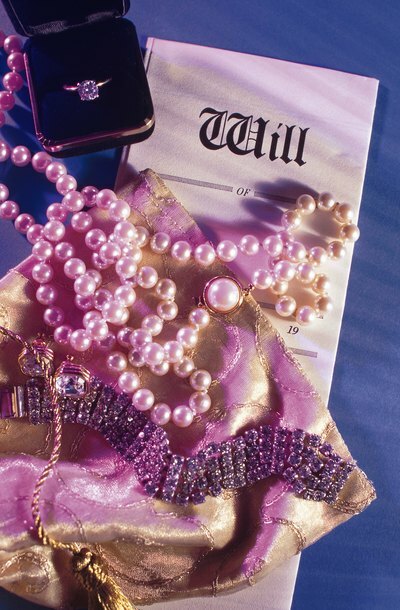 For probate proceedings, including a request to probate a will or determine heirs of an estate for which no will has been found, interested parties would include the decedent's heirs and creditors. Each of these parties have the right to receive notice, from a process server, in advance of scheduled hearings, but some may instead prefer to sign a Waiver of Citation. This form is also called a Waiver of Service or Waiver of Notice, depending on the state where the probate action has been filed.